Qardio has partnered with US Expeditions and Explorations (USX) in support of their mission to research and monitor heart performance at high altitude. USX is a non-profit organization that engages military veterans to continue to serve their country by participating in the process of scientific discovery, using latest technologies and giving our veterans a worthy purpose beyond their active duty. 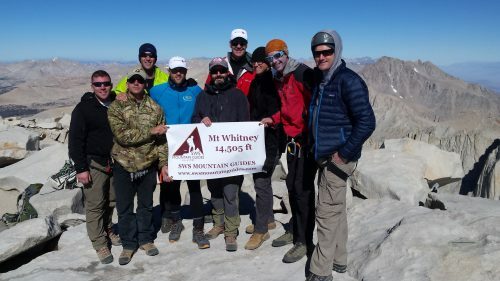 The team’s latest climb to summit Mt Whitney, the highest peak in the contiguous United States, marks the beginning of the USX and Qardio partnership. The USX team will continue using Qardio’s innovative health monitoring devices to record vitals during their future expeditions, with its next climb to the top of the highest peak in North America, Denali, this May. During the team’s latest climb, USX crew used QardioCore, the world’s first wearable, wireless ECG monitor and QardioArm, a smart blood pressure cuff, to summit Mt. Whitney while collecting continuous ECG and blood pressure data. Qardio devices not only collect valuable data for research but also provide real-time monitoring capabilities to ensure the crew stays healthy during the climb to higher altitudes. Qardio continues to focus on creating products that advance research and heart health outcomes. Partnering with USX is another way we support our mission to bring innovative technologies, high-end design and exceptional user experience to the industry and change the future for millions around the world live longer, healthier lives.